Ramesh Prasad Mohapatra a famous historian and archaeologist who had lasting contribution to the historical researches in the field of archaeology, art history, cultural history, military history of Odisha was born on 1st October 1939.He was born at Bhapur of DHENKANAL in Odisha.He was the eldest son of Sitanath Paramguru, then the Jamindar of the village and Motidevi. He got his MA in history from Ravenshaw College CUTTACK and obtained a diploma from the Delhi School of Archaeology of the Archaeological Survey of India.He obtained his doctoral degree for his works on Khandagiri and Udayagiri caves from Utkal University in 1976 under the scholarly supervision of an world famous historian late Krushna Chandra Panigrahi.His doctoral work outlines the significance of the twin caves of Udaigiri and Khandagiri in the development of Indian art and architecture associated with the illustrious Kalinga emperor Kharavela. In 1979 he obtained his D. Litt from Utkal University for his work Jaina Monuments of Odisha. Mahapatra was initiated to historical research by Nabin Kumar Sahu with whom he had worked as an assistant in 1962 for compiling the Utkal University History of Odisha. In 1963 he joined the Odisha State Museum as a Curator for archaeology and took up research in field archaeology and Odisha art under the able supervision of Professor Krushna Chandra Panigrahi. His significant contribution Archaeology in Orissa published in two volumes presents the details of prehistoric and historical archeology in the then thirteen districts of Odisha. His vast collection of art treasures, antiquities and archaeological artefacts collected in the course of his field work is now in the Odisha State Museum. He had numerous significant contributions like Udaigiri and Khandagiri Caves(1981),Jaina Monuments of Orissa (1984), Military History of Orissa (1986), Archaeology in Orissa (1986), Fashion Styles of Ancient India(1992), Temple Legends of Orissa (1989), Decorative Art of Parasurameswar Temple Bhubaneswar(1991), Ornaments of Orissa with TE Donaldson (1998) . Some of the books were published after his death. His articles on historical researches were published mainly in Odisha Historical Research Journal and several Odia magazines. His life was cut short in 1989January 14 after a short but successful phase of archaeological quest and exploration. Famous historian and archaeologist like Professor K. S. Behera and B. K. Rath have great appreciation for hiim for his scholarly works. 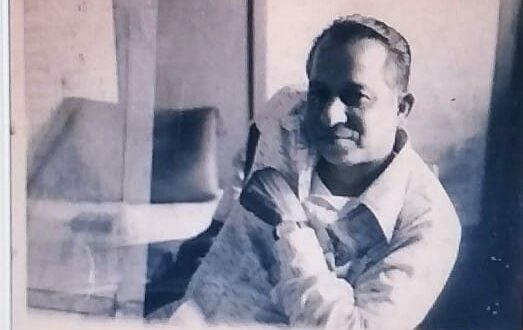 His remarkable qualities as a historian had been evaluated by K. S. Behera in 1990 in his First R. P. Mohapatra Memorial lecture entitled Passing Away of a Great Scholar. His extraordinary work ethic and integrity inspired all who worked with him. In 1985 when my first article on Chodaganga was published in Odisha Historical Research Journal I had an occasion to meet him and then he was full of appreciation of my language and sources and told me to contribute to this journal an article for every subsequent issue. Mahapatra ‘s Military History of Orissa is a brilliant work which is rarely found in historical researches on Odisha. With an elaborate context he had presented the military history with all illustrations and thorough interpretation of the sources. No doubt he had given much importance to documentation but such attempts would only help in proper interpretation of the history in future. In view of his masterpieces on Odisha history and archaeology he needs a revisit. We hope his memorial lectures would resume with considerable success and his pending unpublished researches would be published soon. As a student of history I would offer my tribute in his memory on his birth anniversary on 1st October 2018.